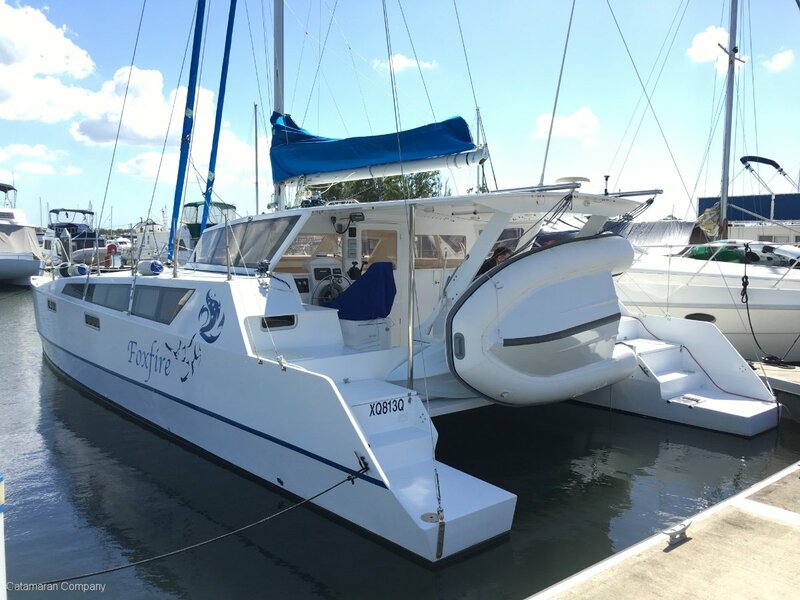 INTERESTED IN BUYING A NEAR NEW CATAMARAN? 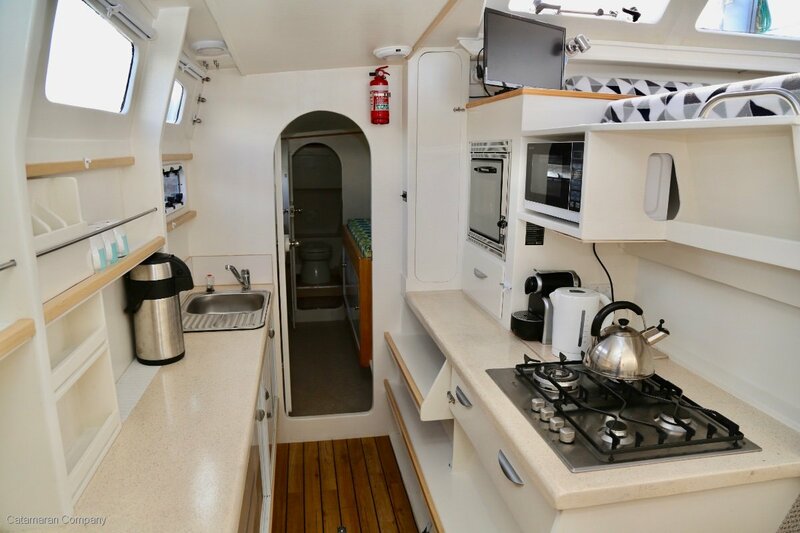 Launched 2015 as hull 8 built by the same builder- Two queen island berth cabin's version, fully equipped, protected steering station and weather protected cockpit with extended hardtop, spacious well ventilated saloon seats six, galley down in port hull is equipped with four burner stove, seperate oven, heaps of bench top space and storage drawers and a top loading fridge /freezer. 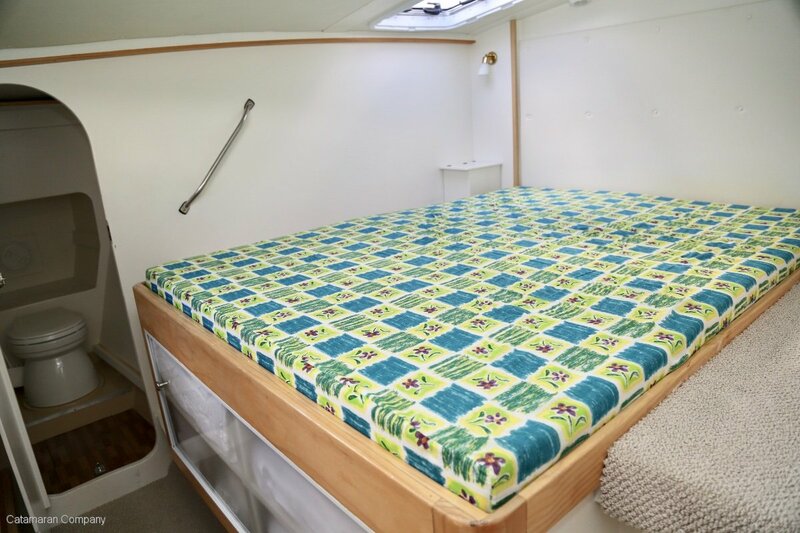 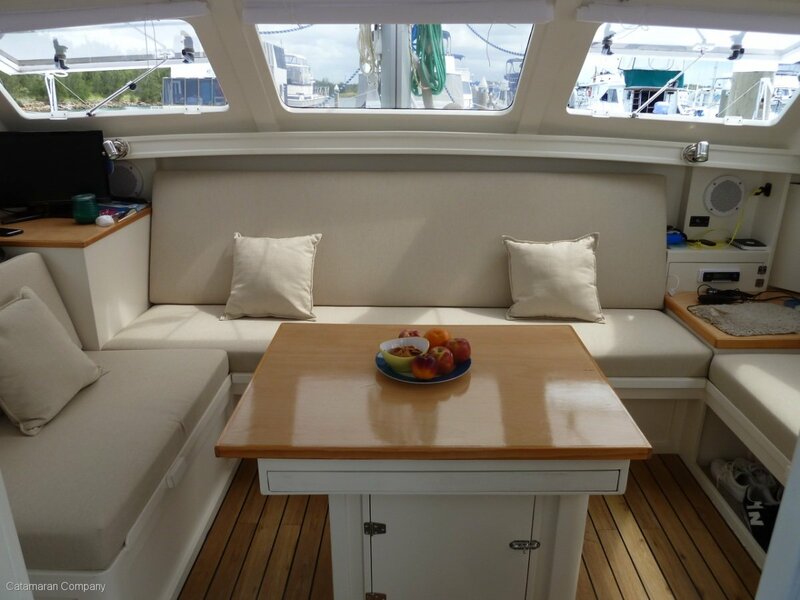 The starboard hull has a navigation desk and storage lockers amidships, a queen island bed cabin forward and the main bathroom is aft in the port hull. 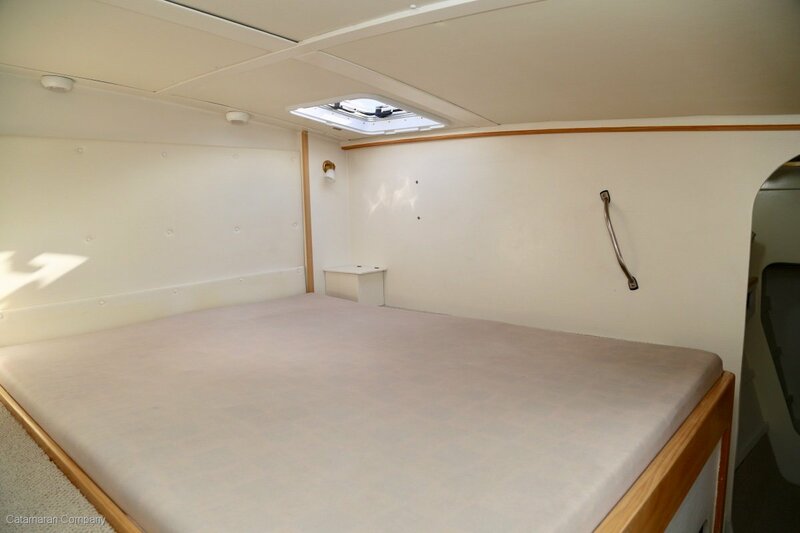 There is heaps of flat deck space forward, with deep storage lockers. 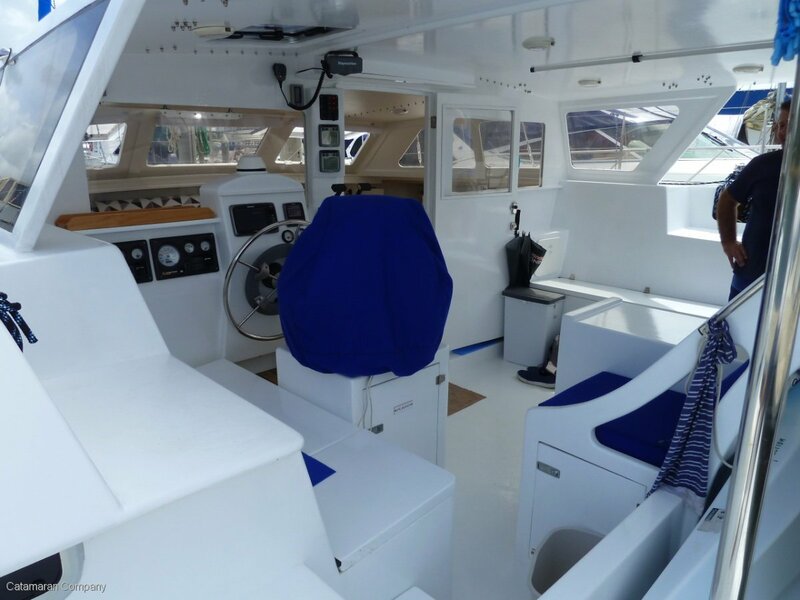 The Allyacht Spars anodised rig with two in line profurl headsail furlers and full batten mainsail are in near new condition as is the rest of the boat because the present owner has had little time to use the boat. 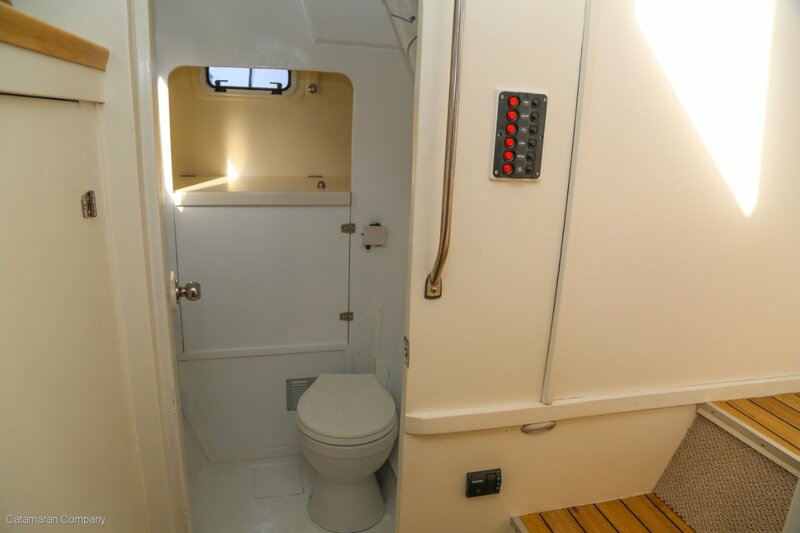 Aluminium mast, stainless steel rigging. 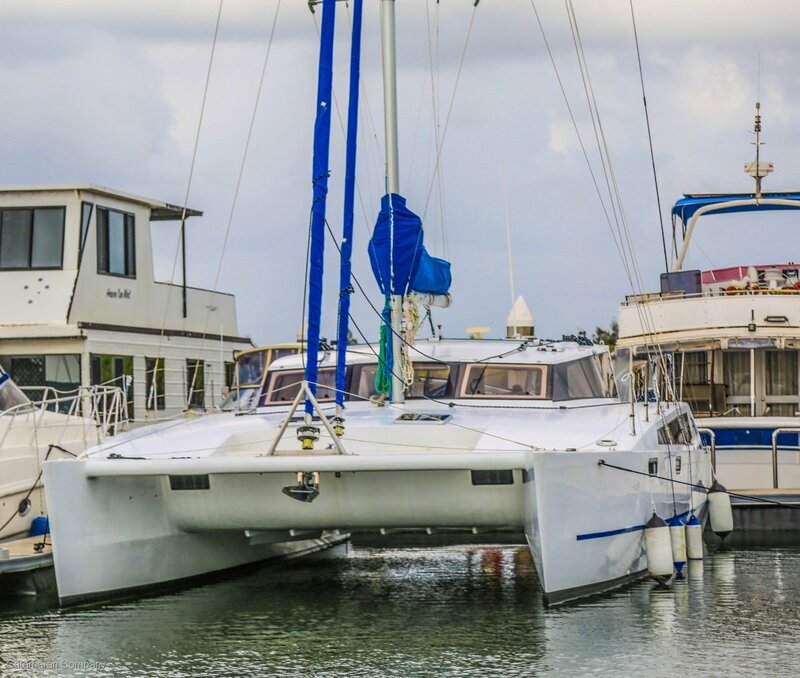 This is the eighth Snell sailing catamaran commissioned and built by Bill Gubbins in epoxy and marine ply for owner's, hence built to a good standard. 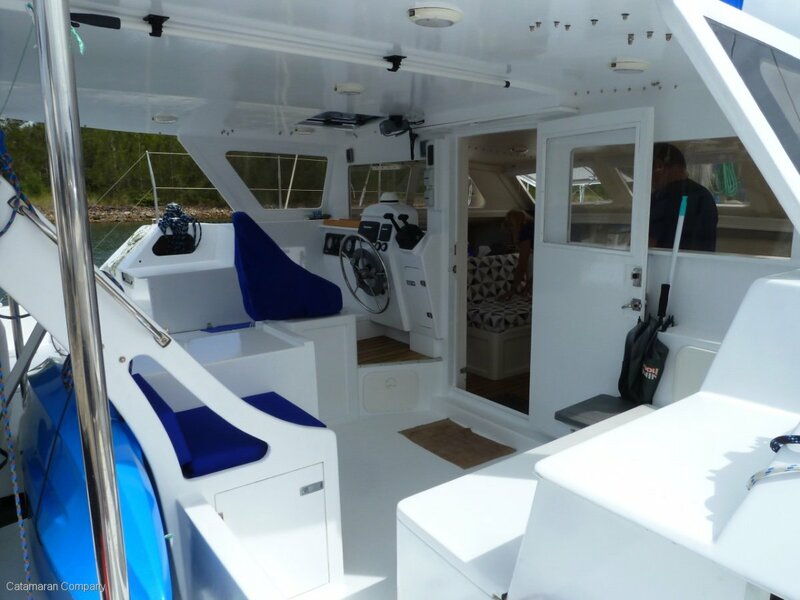 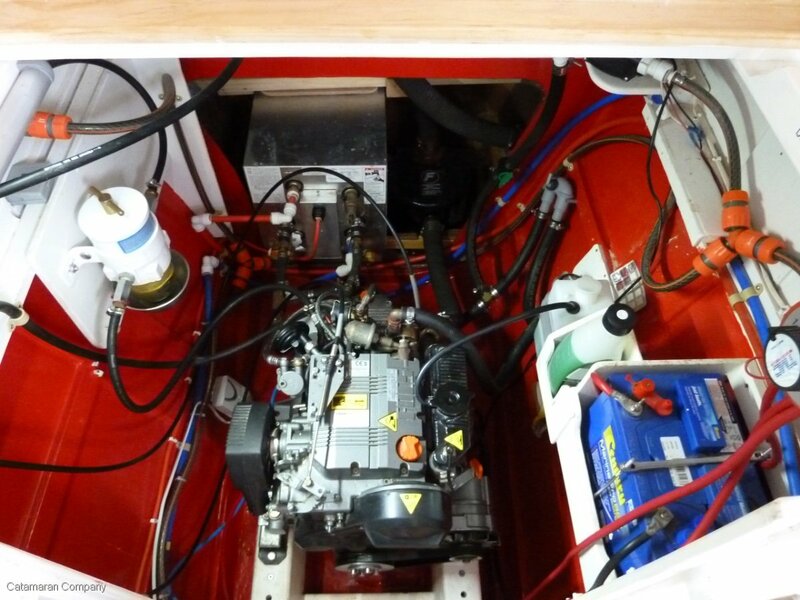 With only 53 hrs on the twin diesels, the condition can only be described as "near new" and she is well equipped for a couple to go coastal cruising.